The "Hugh Padgham Big Fill Kit" is a sampled drum kit with uniquely massive vintage ambient tone featuring a fat kick and snare along with the famous "barking toms" sound in the style of Phil Collins songs like "In The Air Tonight" and "I Don t Care Anymore". 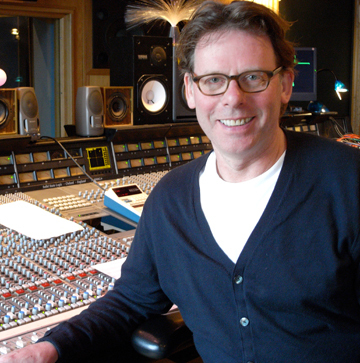 Hugh Padgham is a legendary producer/engineer who has worked with artists such as Genesis, Phil Collins, Peter Gabriel, Sting, The Police and many more. One of the most famous sounds he is known for is that BIG drum sound from the 80s heard on albums like Peter Gabriel's "Melt Face" 3rd album, Phil Collins Face Value and Hello I Must Be Going albums and Genesis Abacab and the Genesis "Mama" album. Sonic Reality took a trip to Surrey, England with Hugh Padgham to go back into Genesis studio called "The Farm" to capture this amazing drum sound in the studio's unique "stone room" recorded an the SSL™ console. The same studio and engineer that produced countless hits in the 80s, 90s and beyond is now captured as part of Hugh's new drum sample library with Sonic Reality, the Hugh Padgham Big Fill Kit! Includes DIRECT Mics on all cymbals. Designed to offer a variety of sounds from ambient to dry, the BFD version of the Big Fill Kit offers discrete mixing control over the individual mic channels. Hugh's particular choice in mic selection and placement was used and set up by Hugh himself. From Neumann® U87s to U47 Fets to Sennheisser® MD421s, everything was set up and recreated as if it was a vintage album recording session in the early 80s. Included as part of the character of this iconic drum sound are rooms compressed with a Ueri® 1176™ compressor and a special "ball & biscuit" mono room mic that was a key part of Hugh's story creating this massive drum sound with legendary drummer Phil Collins. The story goes that while Hugh was working on Peter Gabriel's third solo album, in a session when Phil Collins was playing, the sound of the talkback room mic, which was an STC Ball & Biscuit Omni mic intended to be used to pick up the sound of the musicians in the room talking to the engineers on the other side of the glass, was impressive - especially when it was run through the SSL™ console's "Listen Mic Compressor" which also wasn t normally used to process recorded audio but rather to boost the sound of the musicians voices in the room no matter where they were. So, Hugh had the techs wire up the listen mic compressor to record this amazing ball & biscuit trashy room mic to mix in with the rest of the drums and that's how songs like "Intruder" and eventually "In The Air Tonight" got their intense drum sound. That signature set up of mics was used to record Hugh's "Big Fill Kit" at Genesis own studio. When the band Genesis created their own studio in the early 80s with the help of Hugh Padgham they modeled the sound of their live room after the stone room at the Townhouse studio in London which sadly is no longer around. This is a room with stone walls that has a very bright large ambient sound to it while having a relatively short decay due to its smaller size. The particular acoustics of this room as such a distinct element of character in the sound. Part of the "barking tom" sound that Phil Collins had in the early 80s was due to the use of single head toms on the various kits he had including Premier®, Pearl® and Gretsch®. In order to get single head toms for the session we put together perhaps one of the ugliest Frankenstein kits ever! Thanks to some help from London's drum hire and various friends Sonic Reality was able to get a variety of drums at the right spec for Hugh to work with to capture this iconic BIG drum sound. The kit was made up of Premier® single head toms and kick with Sabian® cymbals and a Ludwig® Super Sensitive snare. The result is one of the best sounding sampled drum kits around. All of the elements combined from the mics, the room, the kit, the SSL® console and Hugh's particular style of recording work together to bring you a timeless yet vintage signature drum sound that many people have often tried to get. 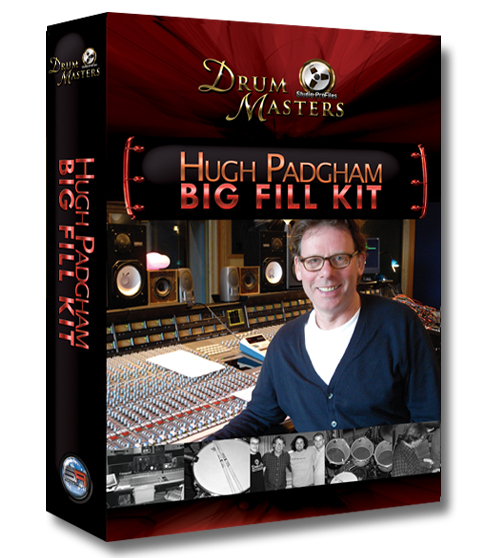 The infamous "Collins Style" massive drum sound can now be yours to use in your music with the "Hugh Padgham Big Fill Kit". This product requires an installed and registered copy of BFD2. Please note that your Sonic Reality Hugh Padgham Big Fill Kit serial number only authorizes your Sonic Reality library. It will NOT serve as registration for the actual BFD2 software. 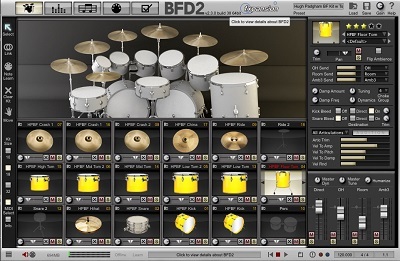 *This version is for BFD2 and can be imported into BFD3.